Flora Nwapa – African Book Addict! 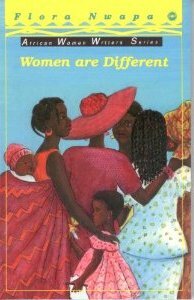 Women are Different is the moving story of a group of Nigerian women, from their schooldays together through the trials and tribulations of their adult lives. Through their stories we see some of the universal problems faced by women everywhere: the struggle for financial independence and a rewarding career, combined with the need to bring up a family, often without a man. This book was quite painful to read… the details of the storyline were superfluous, Nwapa’s writing style wasn’t great and there were too many characters to keep track of in the book. 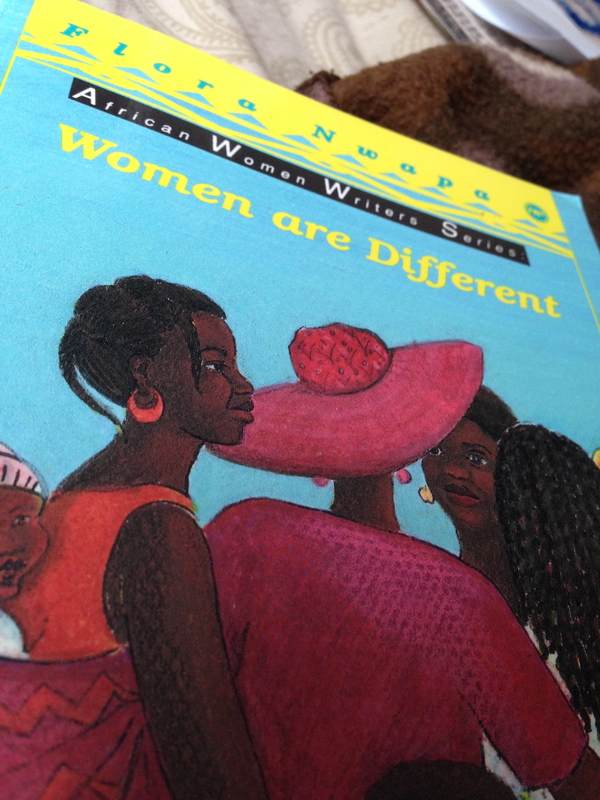 Furthermore, there were spelling and grammatical errors in my copy of the book (I have the African Women Writer Series- First Africa World Press, edition 1992). I love that Flora Nwapa sought out to enlighten readers on the lives of Nigerian women from the 1940’s to the 1970’s- after the Biafran war, but I did not enjoy the writing style. It was written in third-person, but quite shabbily. The sentence structures were very simple and I felt like I was reading a child’s novel. I will commend Nwapa for raising various issues women faced in Nigeria, like: arranged marriages, child marriages, poverty, the importance of girl-child education, prostitution, spinsterhood, betrayed love etc. Nwapa portrayed all of these issues through the lives of Dora, Rose, Agnes and Comfort from their high school days to their late motherhood days. The girls’ different personalities and opinions on life were basically a microcosm of the opinions and lives of other women in Nigeria. I enjoyed Comfort’s character the most, as she was vivacious and fearless- typical of Nigerian women! But several parts of the novel were dragged out. For example: the food strike in the girls’ secondary school went on for about ten pages; Dora complaining to Rose about her wayward daughter’s failed marriage dragged on for another ten pages; Agnes’ prostitute daughter’s plight went on forever as well. The girls’ lives did not end up how they wished it would romantically, but they were quite successful, strong women by the end of the novel. I initially wanted to purchase Nwapa’s popular novel, Efuru but after reading this simple book that took me 18 days to complete, I think I will pass. I love African literature and I admire Flora Nwapa for being one of the pioneering African women writers, but unfortunately I do not recommend this book. BUT!! Another African literature book blogger, Mary Okeke, loved this novel! Check out her positive review of Women Are Different – here. ★★ (2 stars) – Thumbs down. I do not recommend this.